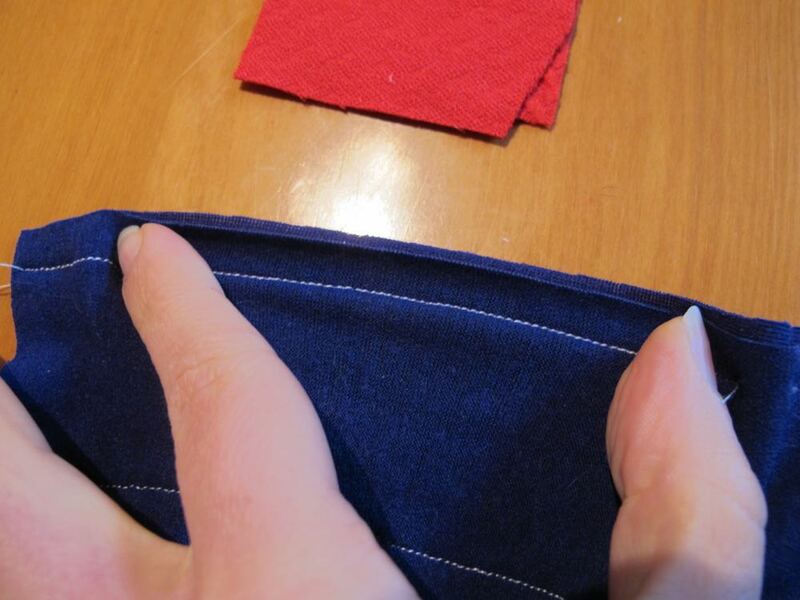 It’s a great technique, and does work well if done right – the fabric stretches beautifully, and the seam is lovely and smooth from the outside, and can be pressed completely flat and open if needed. The drawbacks are that the stitches are really small and hard to unpick, and it can be hard to control the fabric and to stretch it evenly. You can mitigate the first by lengthening your stitch slightly, but this tends to make the control issues even more of a problem. 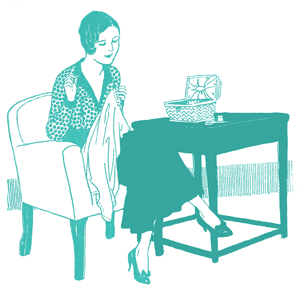 The stress of stretching the fabric as it is sewn can also cause ripples in the fabric, but these can almost always be fixed with a bit of steam ironing. Occasionally I encounter a fabric with good stretch, but poor recovery, where the lack of recovery and the stress placed on the fabric as you stretch and sew it result in permanent warping and ripples. The solution is to practice, and test. 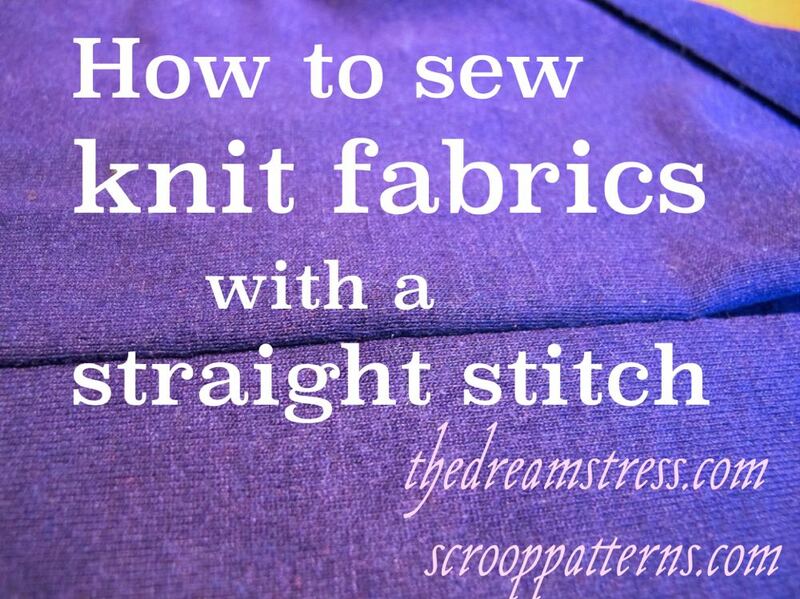 Practice the technique until you can stretch the fabric evenly and smoothly, without wobbling about, and always, always, test your fabric with this stitch before committing to your garment. * my first video tutorial! It makes me dreadfully nervous, but I think I did pretty well considering I was holding the camera, talking, and sewing, all at the same time! I think you did a great job with the video! I doubt I could coordinate all that at once, and have it go smoothly. A very clear explanation, and a very nice video! It’s also nice to hear your voice, I’ve been reading your blog for quite a long time and you start to imagine what someone sounds like ;). Thank you! I’m pretty sure (I hope!) that the video isn’t the best representation of my voice – I haven’t sounded like that in radio interviews, or when I’ve been properly filmed. I think my camera just has poor speakers! 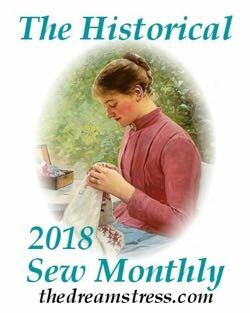 A million years ago we did have knits but most sewing machines had only a straight stitch. For what its worth, I used to sew knits with a piece of tissue paper on top. Believe it or not, it worked! I bet there are people all over the world that have internet but a very basic sewing machine. Your many fans thank you for your tutorial. Thank you so much for this! It’s very clear and informative, and will be saved to my playlist! Nicely done. 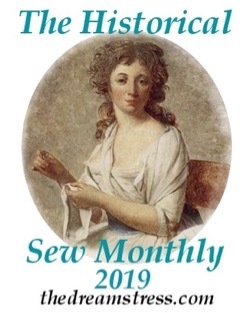 I have not ventured into the world of putting sewing tutorials out there yet, but I hope to be able to do that at some point. Your tutorial is very clear, and lacking excess information or repetition that isn’t needed. Thank you for the video. Without it, it would be so hard to understand from text only! Hi – I know this is an old post, but just found it – perfect for what I need! I am about to spend a year on a sailboat (!) where electricity will be scarce and precious. I’m taking along a hand crank straight stitch machine, and thought I would be stuck only with wovens because of no zig-zag. (Don’t worry about pressing, I have an Amish butane iron!) My question is this: how do you hem accurately using your stretch and sew technique? I use wash away basting tape usually, but it won’t allow for stretching while you sew. 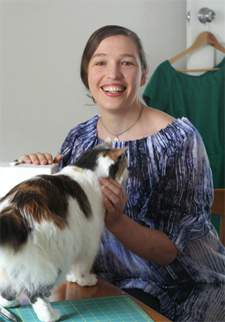 Dress hems are fine without stretch, but sleeve hems MUST have some stretch! Please help! Thanks.